In Logos, Raymond Tallis steps into the gap between mind and world to explore what is at stake in our attempts to make sense of our world and our lives. With his characteristic combination of scholarly rigor and lively humor he reveals how philosophers, theologians, and scientists have sought to demystify our extraordinary capacity to understand the world by collapsing the distance between the mind that does the sense-making and the world that is made sense of. Such strategies--whether by locating the world inside the mind, or making the mind part of the world--are shown to be deeply flawed and of little help in explaining the intelligibility of the world. Indeed, it is the distance that we need, argues Tallis, if knowledge is to count as knowledge and for there to be a distinction between the knower and the known. Tallis brings his formidable analysis to bear on the many challenges we face when trying to make sense of our sense-making. These include the idea of cognitive progress, which presupposes a benchmark of complete understanding; cognitive completion, which unites the separate strands of our understanding (from the laws of nature to our ineluctable everyday understanding of things, incorporating the meanings we live by); and the knowing subject--us--with our partial and limited viewpoint mediated by our bodies. 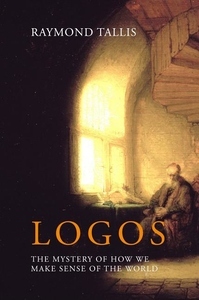 The book showcases Tallis's enviable knack of making tricky philosophical arguments cogent and engaging to the non-specialist and his remarkable ability to help us see humankind more clearly. For anyone who has shared Einstein's observation that "the eternal mystery of the world is its comprehensibility," the book will be fascinating and insightful reading.